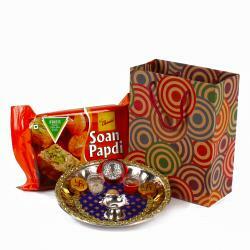 Product Consists : Designer Thali, Silver Plated Coin, Chocolate Cookies (Weight : 200 ) along with Gift Papaer Bag. Give your beloved brother a reason to smile by treating him to this beautiful Bhaidooj tikka hamper from Giftacrossindia. 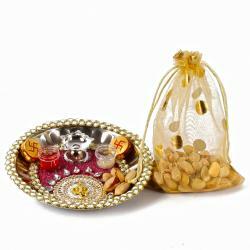 A reusable thali designed to perfection which can also be used as Pooja thali later. 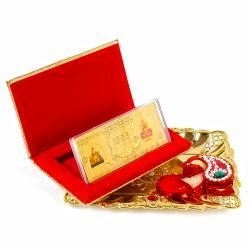 Bhaidooj occasion is not just about sending a wishes to your darling brother. The thali is decorated with a red colour printed fabric with matching lace looks beautiful.It is also about lacing the occasion with your warmth and affection in unique ways that show your brother how much you care. 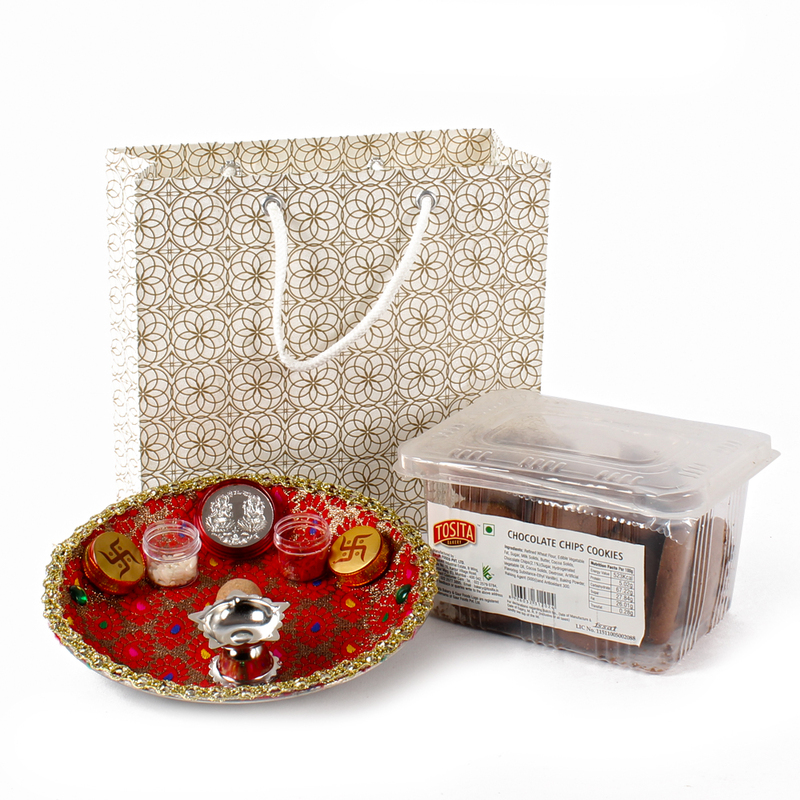 In this context, you can try this unique combo of Steel thali, Silver plated coin with 200 gms Chocolate cookies in a Gift Paper Bag.Lip smacking cookies are best for gifting in any special occasion. 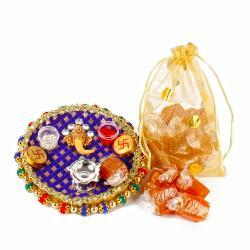 Product Includes : Steel Designer Thali, Silver Plated Coin, Chocolate Cookies (Weight : 200 Gms) in a Gift Paper Bag.